The loans you use to buy a home or manage the equity in your home are vital to building a strong financial future. HNCU offers all the mortgage products you need at rates you afford. 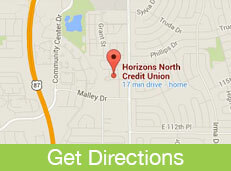 We’re here to help you choose the best loans and make the most economical decisions. Historically low loan rates combined with lots of homes on the market make this the best time EVER to buy a home. Apply online or in our branch. All loans require a completed loan application and approved credit. Some restrictions may apply. Please refer to the Membership & Account Agreement, Truth-in-Savings Disclosures, Loan Agreements and Fee Schedule for specific account requirements and restrictions. A home equity line of credit is a pre-approved loan amount you can draw on as you need it. A HELOC is a great way to pay for unexpected expenses, such as a major car repair, without using much higher rate credit cards. It’s also a great way to manage college tuition and room and board payments. *APR = Annual Percentage Rate. Subject to credit qualifications. All loans require a completed loan application and approved credit. Some restrictions may apply. Please refer to the Membership & Account Agreement, Truth-in-Savings Disclosures, Loan Agreements and Fee Schedule for specific account requirements and restrictions. Refinancing replaces your current mortgage with a new mortgage that has different terms. Refinancing can be an excellent way to save money over the life of your loan, if the conditions are right. Apply today to take advantage of great rates and low origination fees.